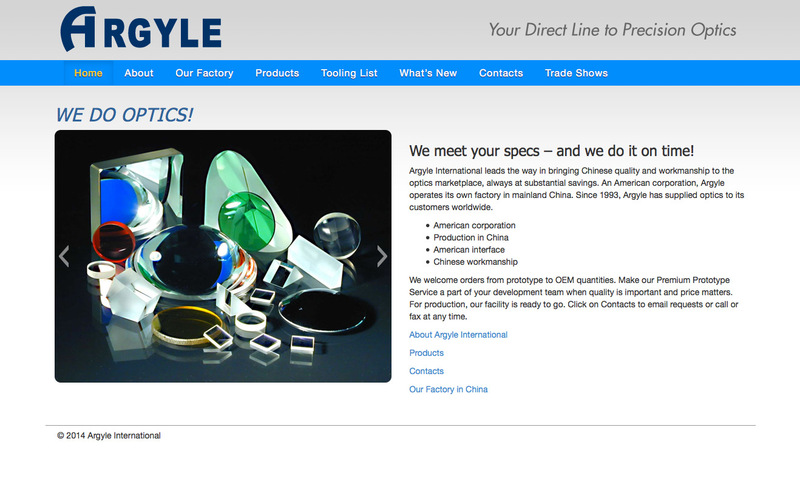 When Argyle International reached out to Inforest for the redesign of their website, not only were they looking to improve the look and usability of their web presence, but they needed to revamp a script which generated tooling tables that customers could download in a variety of file formats. They also wanted to take advantage of the content management capabilities of the WordPress blog software. Inforest started by redesigning the site utilizing the Bootstrap HTML5/CSS3/jQuery framework in order to help achieve a “responsive design” layout that resizes to accommodate mobile and tablet browsers. High resolution images of Argyle products were utilized in a product gallery, which was built using a custom post type and unique templates to display them. A slider of product images was also added to the home page to help introduce the company and its products. For the tooling tables, Inforest developed a custom plugin within WordPress to provide an administrative interface for Argyle to upload and verify tooling data in a CSV data file. From that data file, an HTML table is generated for the tooling table Web page, as well as a Zemax and human readable text file that are automatically compressed into a Zip file for download. The resulting website has proved to be both a substantive update for Argyle, both in the appeal and reach of their website, but also in providing the means to more regularly update both tooling data and new product information to their customers. For Inforest, Argyle serves as a great example of how WordPress can be properly extended through custom plugins and theming to be a more full-featured content management tool.